Click here to see images of last years event. 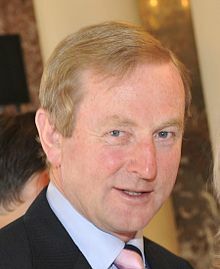 Enda Kenny Taoiseach and leader of the Fine Gael party delivered the 2012 oration, Enda Kenny (born 24 April 1951) is an Irish Fine Gael politician, and has been the Taoiseach since 2011. He has led Fine Gael since 2002. He served as Minister for Tourism and Trade from 1994 to 1997. He is also a two-term Vice President of the European People’s Party.